Without doubt La Esperanza is up there with the biggest releases we have had on the label. The buzz around this has been huge and you only have to listen to the track once to understand why. Big Discover kicks, a classic off beat bassline and brooding pianos and atmospherics all build towards the breakdown which unleashes one of our favourite riffs in a very long time. 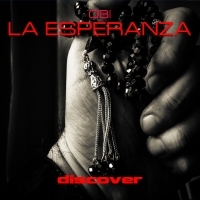 'La Esperanza' is available now from Beatport and iTunes.